Dental crowns are a dental prosthetic restoration that fits over a heavily damaged tooth or dental implant. Once the crown is permanently bonded into place, it effectively becomes that tooth’s new outer surface, and restores its function and appearance. You can eat and drink normally, and you clean crowns in the same way as you would brush and floss your other natural teeth. A crown is basically a prosthetic tooth that is usually made from porcelain or gold and metal alloys. The underside of a crown has an exact negative impression of the prepared natural tooth structure, so when placed, it fits perfectly onto the tooth, and can be bonded seamlessly – to prevent oral bacteria from entering between the crown and tooth. In the event of a dental implant, the crown is specially designed to fit and be secured onto the implant. At TC Dental Group, we have a special-partner dental ceramist on-site right next to our clinic – for faster and more efficient service. 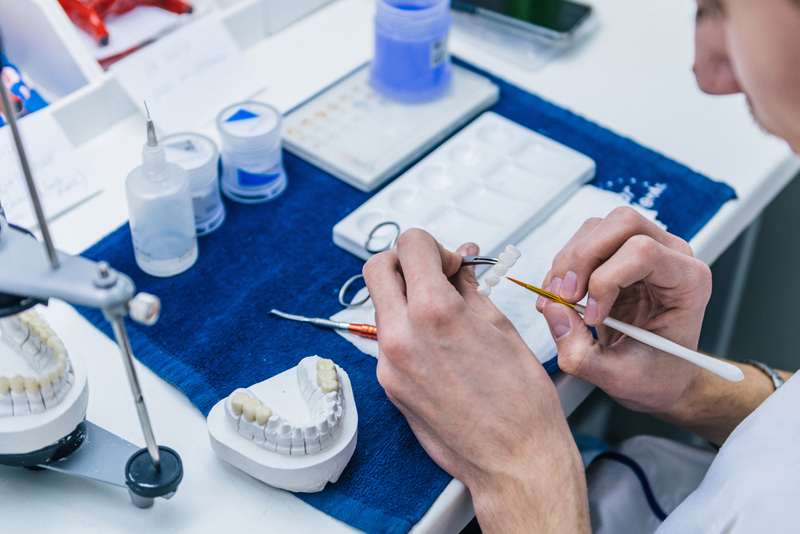 Oral Ceramics is renowned for their skill, quality and reliability in producing crowns using only the highest quality materials. Together, we aim to provide our patients with strong, functional and aesthetic crown restorations that will last for many years. If you would like to find out more information regarding crowns, or to book a consultation, please call us on 3349 9334 (Mt.Gravatt), or 3848 1574 (Annerley).